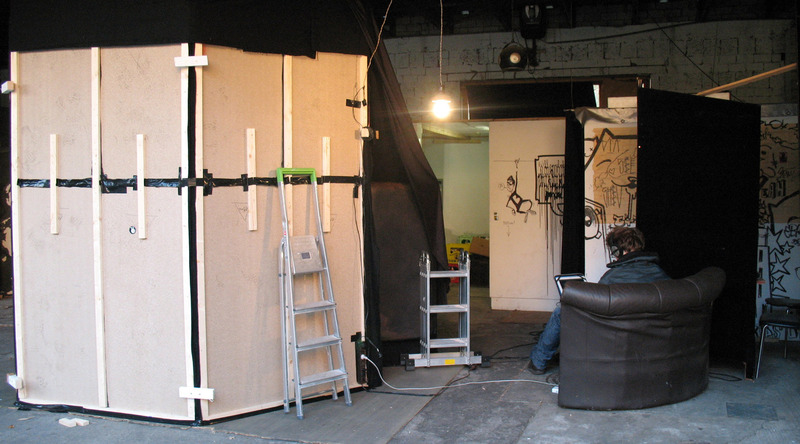 The installation was situated on the backyard of an underground club. 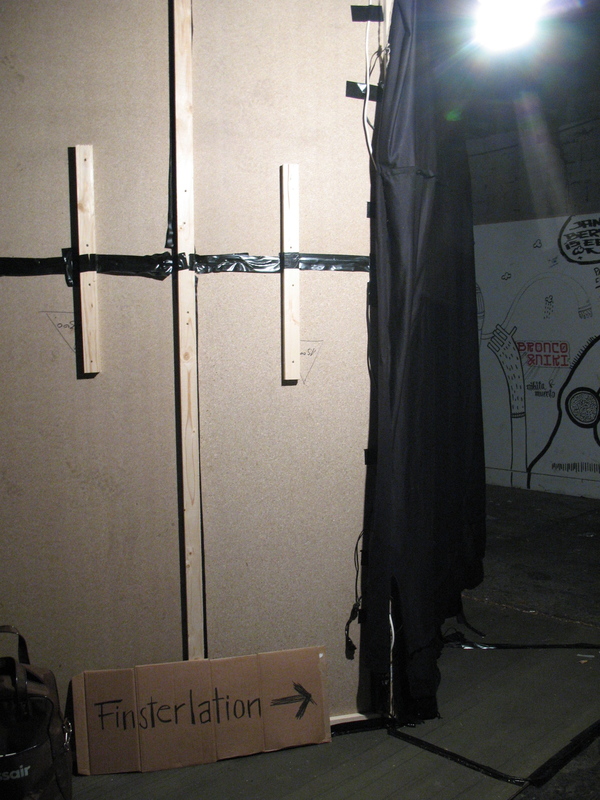 From the basement, techno beats and party noise resound up to where people around the installation are having loud conversations. 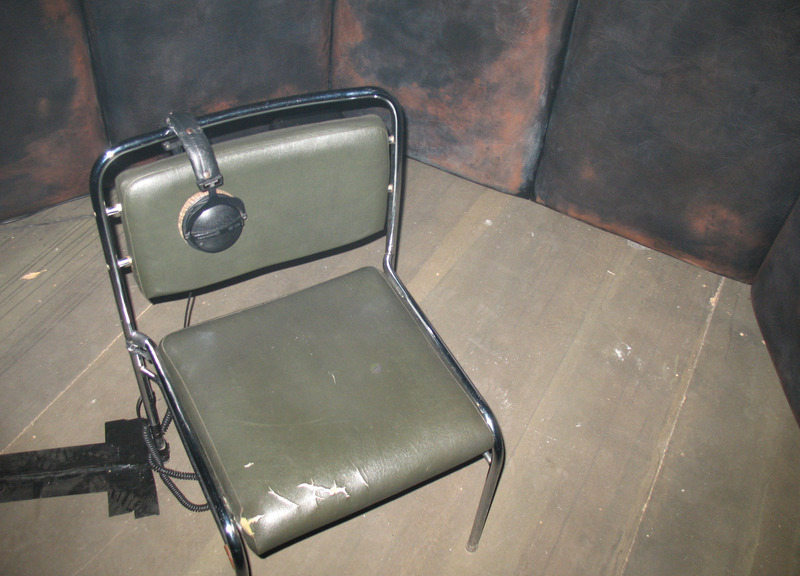 A visitor entering the completely dark room takes seat on a single chair, puts on the headphones and starts to listen. With the sounds he hears, steps, music, laughing people, knocking on the walls, it is not distinguishable whether they are coming from the headphones or really from outside the room. While the visitors eyes adapt to the pitchblack darkness in the room, a fragmented narrative begins, about a person in a room, listening to sounds coming from somewhere outside, trying to get some orientation about where he is, what's outside, what happened... 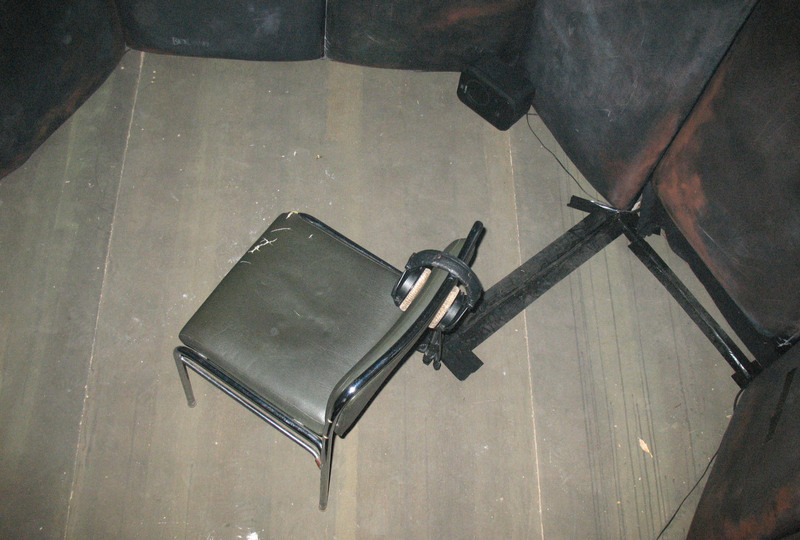 Eventually, the chair under the listeners back begins to shake. Isolated spatially as well as acoustically inside the room, the visitor falls into a mood of self-reflexiveness, hearing an associative story mirroring the situation he himself is in, and the people surrounding the artificial room he has just been entering.